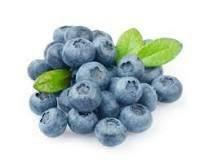 Blueberries are ranked as having one of the highest antioxidant capacities among all fruit (www.whfoods.org: 2015). Of the crops that can be grown in the Western Cape, blueberries fare among some of the least commonly grown, but probably of the most profitable whose growing conditions can be controlled under shade netting. They are a robust fruit that are as resilient in the different conditions as table grapes and can be safely shipped to any place in the world frozen, with very minimal, if any, quality degradation. The new generation plants are without thorns and mostly disease resistant, and produce white to pinkish blossoms from May/June to September in the Western Cape. The fruit is ready between August and January, which is the end of the season for the Northern Hemisphere Blueberries, making them more expensive in Europe and North America, thereby attracting high returns for the exporters and growers from the Southern Hemisphere alike, as there is high demand, but low supply during this period. Currently, blueberries are becoming quite popular among farmers, especially in the Western Cape, as they provide an extremely viable option under the same climatic conditions as other popular crops. Some of the cultivars (presented below) are patented and can only be grown via a contract arrangement with the supplier. Under this contract, the supplier would be responsible for the provision of the cultivars and chemicals as well as technical advice on farming with blueberries. However, this contract will also stipulate that the farmer can only supply to the said supplier and the latter would be responsible for marketing the entire crop on behalf of the farmer. South African blueberry farmers have the advantage of producing very good quality blueberries relative to the other blueberries from other parts of the world. Hence the South African blueberry market share in both the European and American markets is higher than current local production, and is supplied counter cyclical to the blueberry season of the Northern Hemisphere. Snowchaser®: Of the cultivars grown in the country, this cultivar blooms the earliest and is also the first on the market, as it’s usually three weeks before any other cultivar is ready. The berry size for this cultivar is regarded as medium and the quality of the fruit is firm, of good flavour and medium blue in colour. Emerald®: The berry size is very large with a firm, mild flavour and medium blue in colour. It is the second earliest bloomer and consequently, the second on the market as well. Jewel®: This cultivar’s berry size ranges from large to very large, with a light tart flavour and is light blue in colour. It blooms from early June for approximately three weeks and harvest starts in the middle of the harvest season. Star: The cultivar only blooms mid-season and hence the harvest time is also affected. The size can be classified as large with good flavour and dark blue in colour. Note: ® indicates that the cultivar is patented and hence may not be grown without explicit permission of the patent holder, who also would be the supplier in this case. For proper growth, blueberries require very well drained loam soils that are also low in pH, but high in organic matter. They do not grow well in sunny conditions, but instead prefer early morning sun. Hence they are usually grown under shade netting. They require regular watering, as their root system is a shallow course system, coupled with well drained soils. This sector is relatively new and developing, hence some of the challenges that blueberry farmers go through include the availability of chemicals for the different cultivars. These chemicals are not readily available on the open market and there are import restrictions. The easiest ways of obtaining these chemicals is via the use of suppliers of the cultivars. Technical expertise in this sector is quite scanty as well. There is also a lag in the introduction of new cultivars as compared to other Southern Hemisphere countries. This is due to adherence to quarantine regulations in South Africa for a period of two years before they can be introduced on the market. The infrastructure and establishment costs for blueberries are quite high. The average estimated establishment costs in the Western Cape are in the region of R392 209 per hectare for blueberries grown in soil – on ridges and under shade netting. The most significant cost in the production process is the cost of labour. The average kilogram yield per hectare differs depending on the cultivar planted. The maximum yields – when production has stabilised – for Snowchaser, Emerald and Jewel are 22857 kg/ha, 24442 kg/ha, and 24442 kg/ha respectively. The average internal rate of return post the breakeven point is in the 30% region, which is quite high when compared with other similar crops with similar growing conditions.